Debunkers, man-made global warming advocates and skeptics in general like to call their opponents "deniers". This word has of course been deliberately chosen because of its holocaust connotations. It's interesting though because in many ways it is they who are the deniers. 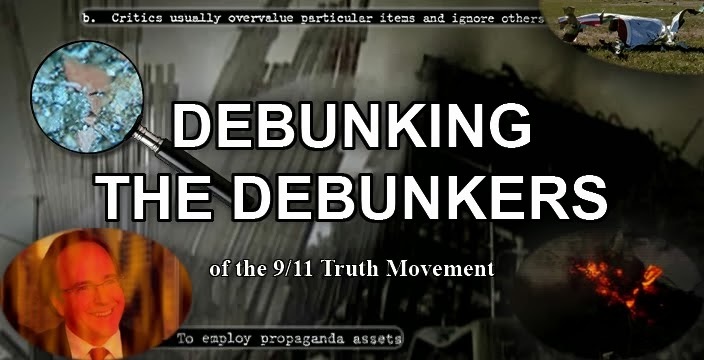 In May of 2009, I coined the term "thermite denier" as an alternative name for 9/11 debunkers. And considering how blatantly obvious it is that high-tech thermite played a role in the destruction of the World Trade Center, and how deeply deluded you would have to be not to see it, I think the name is more than justified. 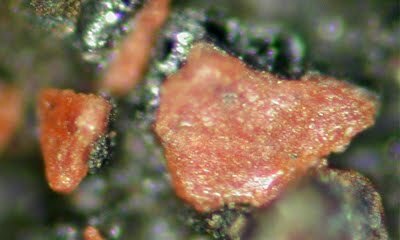 It has now been exactly a year since the publishing of the paper "Active Thermitic Material Discovered in Dust from the 9/11 World Trade Center Catastrophe", and over the past year the debunkers have gone through all kinds of mental gymnastics to convince themselves that we are wrong. The most common debunker response is the claim that the red material is simply primer paint. Such criticism is completely ignorant of simple facts about the material. There are a few basic reasons why the chips are unlikely to be paint. For one thing, they do not contain Zinc in any significant amount. They also do not dissolve in paint solvent and do not soften when heated. 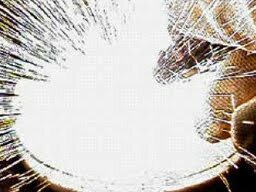 When a 1mm x 1mm chip was heated using an oxy-acetylene torch (see first video below), it flashed brightly and ejected a hot particle. Various paint samples were also heated using the torch and they simply turned to ash. 1. The particles are on the nanoscale. The bright particles below are consistently 100 nanometers in size and are seen intermixed with plate-like particles 40 nanometers thick. 2. They're intimately mixed in a sol-gel matrix with organic components. 3. When heated to around 400-450°C, the chips ignite and undergo an energetic chemical reaction. 4. Upon ignition, molten iron spheres form on the surface. Since iron doesn't melt until 1500°C, the trigger temperature of around 400-450°C could not possibly melt the iron. The fact that we see these spheres implies a temperature increase of more than 1000°C during the reaction. 5. The material is potentially more explosive than TNT and RDX. 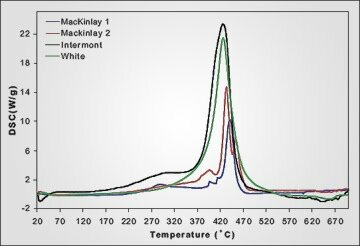 Another common criticism relates to the chain of custody of the samples. Debunkers try to cast doubt on Jones' findings by pointing out that his samples weren't professionally handled or hermetically sealed, as they would be in a real forensic investigation. While this is true, it's not as if the government has done any better. We're doing what the government should have done. We shouldn't even have to be doing this. You can criticise Jones' methods all you want but it's still better than anything the government has done. There were four samples used in the study, one of which was collected minutes after the second tower collapsed, before any cleanup work began. 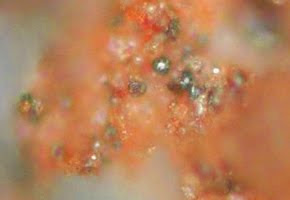 This sample contained red chips and iron microspheres in it just like the others, destroying a tired old debunker claim that the samples could have been contaminated by cleanup work. Also when one understands just how advanced this thermitic material is, the idea that it could have been added to the samples is ludicrous. Steven Jones and Kevin Ryan can't even make this stuff! There are only a handful of military labs in the world that can make nano-aluminium, one of the key ingredients of the material. And because of the way the particles are intimately mixed, the nanothermite could not have been made by simply crushing ordinary thermite into extremely fine particles - a top-down approach. 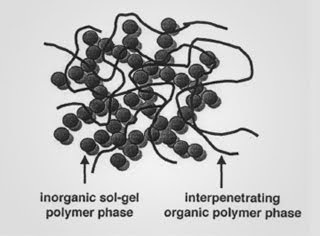 The nanothermite, like all nanotechnology, is manufactured using a bottom-up approach - building it up molecule by molecule in the same way skyscrapers are built up beam by beam. So again, we're talking about a very sophisticated manufacturing process. 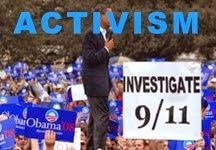 There's no way this could have been made by anyone in the 9/11 truth movement and added to the samples. The mental gymnastics that debunkers go through would be hilarious if it wasn't so pathetic. 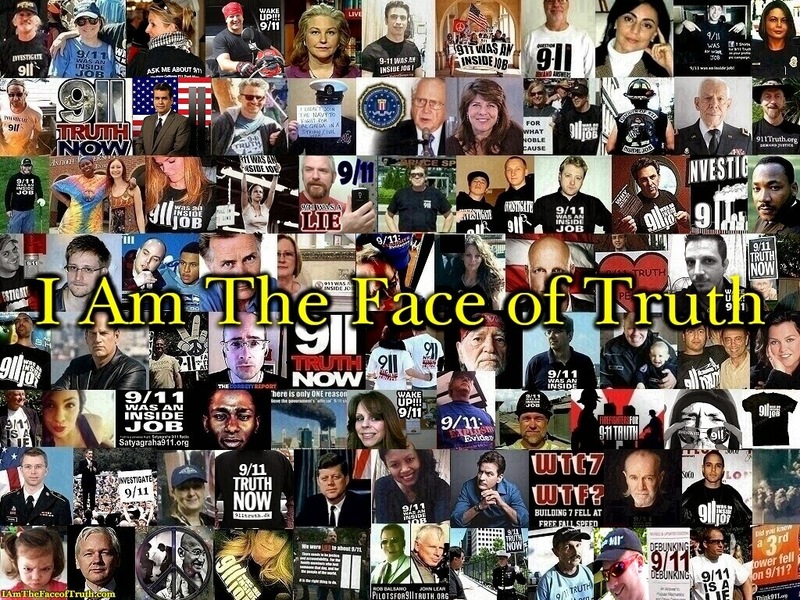 In order to convince themselves that there is no conspiracy surrounding 9/11, they come up with an entirely baseless and even more ludicrous conspiracy theory of their own. They effectively accuse ordinary citizens and scientists of fabricating evidence, even though those citizens and scientists have nothing to gain from doing so and physically couldn't even if they wanted to, yet they find the idea of a corrupt government fabricating evidence ridiculous! I think it's they who need the tin foil hats to be honest! Another point I have heard raised is the fact that Jones only has four samples - peanuts compared to the total amount of dust produced. Interestingly though, that fact actually supports our side if you think about it. When you consider the enormous amount of dust produced in total, if there was only a small amount of this stuff in the towers, the probability of it appearing in Jones' relatively tiny samples would be equivalent to the probability of taking a small sample of hay from a haystack the size of a city and finding one of the few needles hidden in the giant haystack in that small sample. The fact that we find this thermitic material in not just one of the samples, but in all four, suggests this stuff was everywhere. 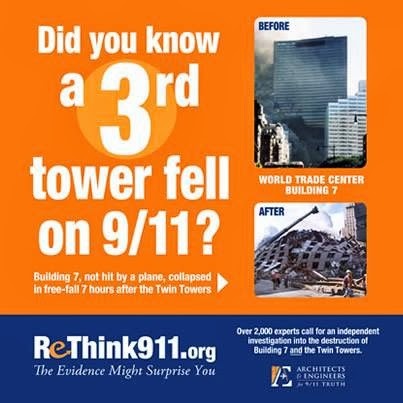 Regardless of how it was done or who was responsible, just by looking at the hard scientific facts it is obvious to anyone not living in denial what happened to the twin towers on 9/11. They did not collapse due to damage and fire as we have been led to believe, but were in fact demolished using a high-tech explosive. A common response at this point is to try and cast doubt on the demolition theory by asking questions like 'How exactly was this thermite used? ', 'How did they get it in the buildings without being seen? ', 'How did they stop it from going off when the planes hit?' and 'If the buildings were demolished, where were the bright flashes and loud bangs?'. These are all very good questions that we all would like to know the answer to. But the fact that we don't know exactly how the towers were blown up, doesn't negate the evidence that they were blown up! A criminal investigation will answer those questions. Denying the evidence on the basis of personal incredulity is a logical fallacy, something skeptics are supposed to avoid. 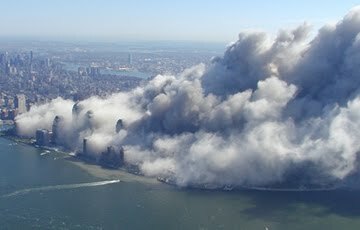 One thing's for sure though, Al-Qaeda didn't blow the towers up!